Twin Living: Boston, We love you. There are no words for yesterday's events during the Boston Marathon. A day of enjoyment turned to terror. We once felt very safe and we have been shaken to our core. My thoughts and prayers are with those who were affected by this senseless tragedy. 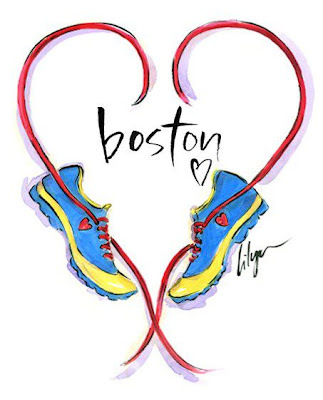 Boston, you are one strong city. i know so saddened by this news.. my hearts and prayers go out to those in boston and their families!! so scary!! so many bad things have happened lately.. ugh.. sadness.